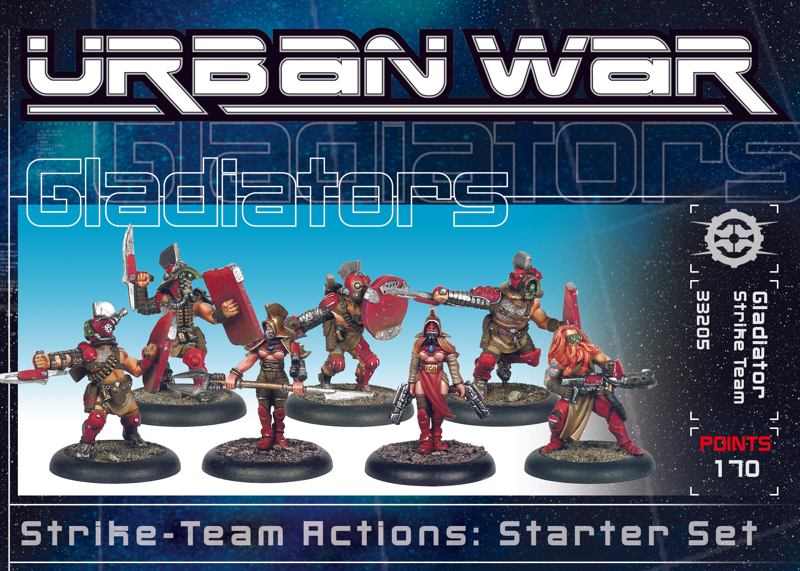 Pack of 4 metal Secutor Gladiators armed with combat blade, shotgun and combat shield. 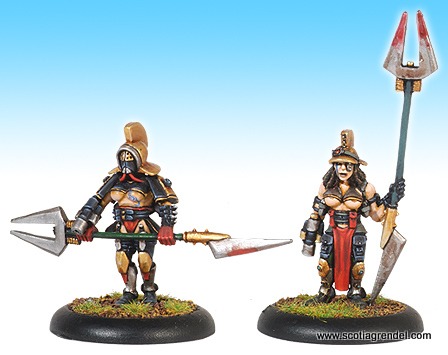 Pack of 2 metal Retiarius Gladiators armed with spear and wrist-mounted net launcher. 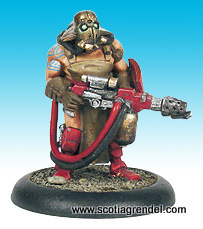 One metal Myrmillo model armed with a flame thrower. 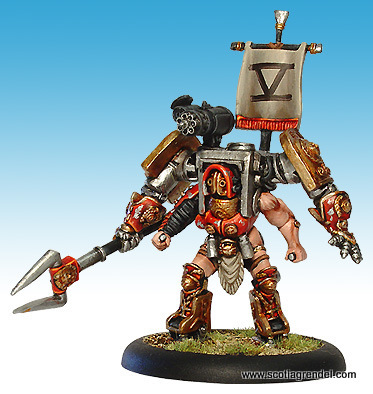 One metal Amazonian Decurion to lead your Gladiators. 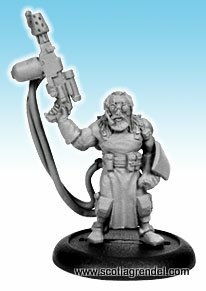 Armed with twin pistols and two-handed combat blade. 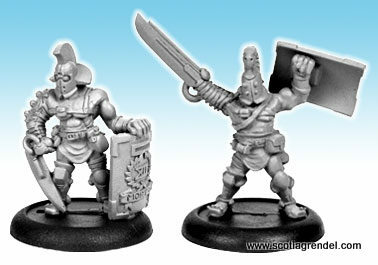 Pack of 2 metal Secutor veteran Gladiators, armed with shotgun, combat blade and combat shield. 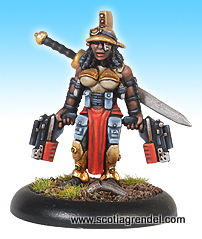 One metal Amazonia Decurion veteran armed with twin pistols and two-handed combat blade. 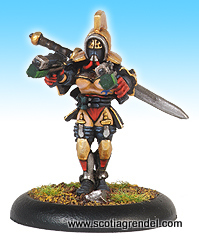 One metal Myrmillo Gladiator armed with flamethrower. 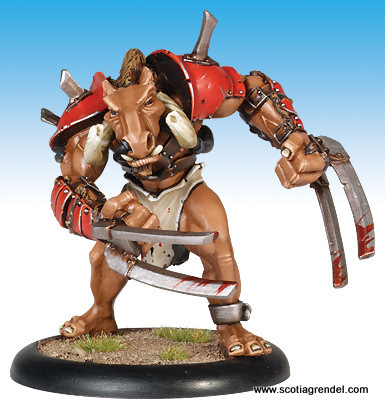 One metal Pit Beast armed with combat blades. 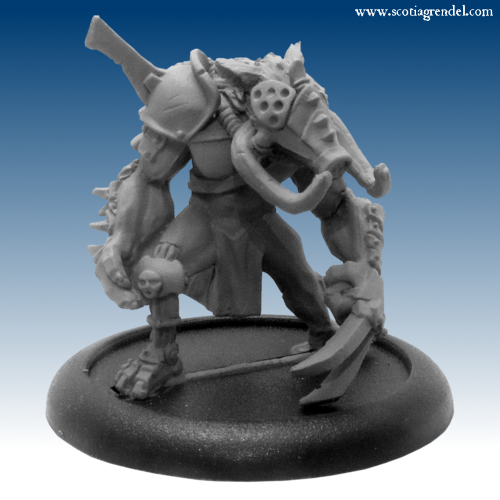 One large metal Pit Beast armed with combat blades and a bad attitude.